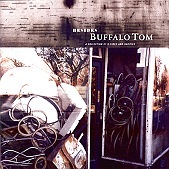 A collection of demos, unreleased material, and covers, Besides showcases a looser Buffalo Tom. Erasing all the pressure and pretenses that go with making a record, this is Buffalo Tom having fun, carefree, not worrying if the record sounds good, just doing what they want to do with the assumption that they don't care if anyone will hear it or not. Covering everyone from The Spinanes to Bob Dylan. The Rolling Stones to Teenage Fanclub. And even Lou Reed, Buffalo Tom mixes it up, intertwining their interpretations of songs that inspired them with their own originals, such as the campy "Bumble Bee," just drums, piano, and vocals, summing up everything this CD is about. "Never Noticed" shows the guitar side of the band, as they pound out a guitar-driven melodic rocker, while "Butterscotch" is an acoustic pop song that lets you hear the softer side of the band. And "Does This Mean You're Not My Friend" tips its hat to both grunge and pop, as the band delivers a crashing power-pop piece. Eighteen songs and nearly seventy minutes of music, Besides is a loose, careless retrospective of Buffalo Tom's non-album career up to this point. A document of a great band kicking back, letting their hair down, and pumping out tracks that may not be the strongest or most well-written, but always are consistently fun. I'll give this a B+.